That's not all, any single $30 deposit that you make any day from Friday through Wednesday, will give you a free lottery ticket, for your chance to win up to 100bbs EXTRA. As if this wasn't enough, every Friday you will receive 20% of the total you deposited the previous week from Friday to Thursday. Anniversary and birthdays are also celebrated with bonus gifts, as there's nothing more important than sharing with our players the joy and the happiness on those special days! Our Player Appreciation Free-Roll will also return this 2017 playing every week with a chance to win lots of free money while playing all your favorite games. 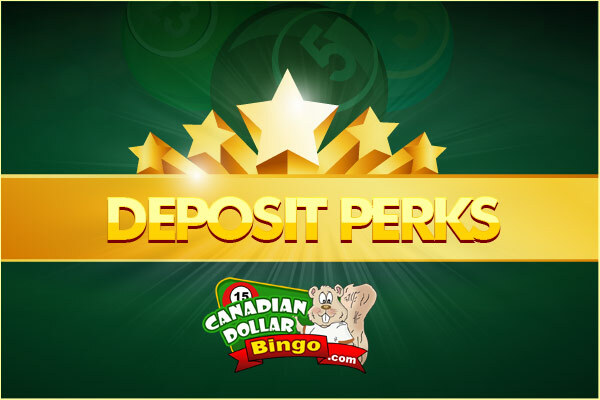 Over $1,000 in cash and bingo bucks, PRIZES will be given away every month. We've also been handing out huge surprise bingo bonuses throughout the month, and there are more to come... So get ready to get rewarded! This entry was posted in Blog on Jan 19, 2017 by Canadian Dollar Bingo.